“Mormons and Who They Worship” seems to be a short piece, probably written by Joseph Fielding McConkie, Bruce’s son, and not by Elder McConkie. The third-person reference to a talk and quotation by Elder McConkie at BYU would seem to indicate this to be the case. This item is simply a differentiation between the father and the son, which is commonly understood LDS doctrine. “Proselyting Principles” is probably either an early missionary pamphlet or something Elder McConkie used in his own mission while serving as a mission president (in Australia in the 60s). The 4-part Godhead items are pamphlets that were published by the Church for missionary use. They were not a book. I first saw them in a used LDS bookstore almost 30 years ago. The Mormonleaks website geniuses haven’t bothered to do enough basic homework to learn this, so they call them “from an 1962 undated book manuscript.” They don’t explain how it can be both dated and undated at the same time, and they don’t know they were published as pamphlets; what extraordinary insight we are gaining from Laurel and Hardy here. As for “The New Revelation on Priesthood,” being from an out of print book, that does not give Laurel and Hardy permission to republish it. They can publish brief excerpts for purposes enumerated under the fair use provision of copyright law, but republishing an entire article is illegal. I imagine this would give the copyright holder the right to sue them if they so desired. “THE TEN COMMANDMENTS OF PRIESTHOOD CORRELATION” is from a talk given at a Regional Representatives training seminar. Part of this talk was published in the Church News, August 4, 1973. Laurel and Hardy wrongly call it an “excerpt from an unknown book or pamphlet.” Genius shining in all its glory for us again. In their website listing, our geniuses repeat the priesthood revelation item listed above. Next, 5 of Elder McConkie’s temple dedication addresses are given. I am not sure how much exposure these have received because Church leaders have tended to limit circulation of such talks in print. I have had copies for many years and in my latest book on special witnesses of Jesus Christ, I quote a short paragraph from the Washington DC temple dedication talk. The building dedication talks are what they are, and are of inherently limited interest. 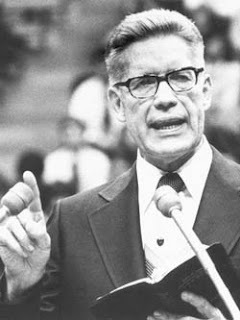 In 1967 Elder McConkie gave a series of doctrinal lectures to church religious educators at BYU. The reason was the same as when the First Presidency sent Elder Harold B. Lee to BYU to teach the faculty in a 1954 summer school setting—to keep church educators properly grounded in revealed scriptural doctrine. Elder McConkie did the same thing during the summer of 1967. The lectures were recorded on audio tape and made available to those who attended. I have known of some retired seminary and institute instructors who obtained copies. Some of the names of some more prominent BYU religious professors who attended are still remembered today, such as Sydney Sperry, Rodney Turner, Hyrum Andrus, and Chauncey Riddle. The lectures were eventually transcribed, but have received limited circulation. They consist of Elder McConkie teaching the gospel from the scriptures. They will have very limited appeal to anti-Mormons and other enemies of the Church. Much of it reflects what Elder McConkie wrote in his 3 volume New Testament commentary series and in his book Mormon Doctrine. In some instances he did expand and amplify and teach deeper doctrines and advanced some concepts that went beyond that found in his printed word. Only those who read them will be able to recognize and evaluate such. Today, Elder McConkie would insist that no one is under obligation to accept everything he said in those lectures, even though it is like feasting at a multi-course banquet of spiritual truth. Some of it would not pass Church Correlation today simply because Correlation is geared to the simple and fundamental, and Elder McConkie had moved far beyond the fundamentals in his personal study and sometimes his teaching. He loved to eat doctrinal meat, and with an audience of very astute teachers before him, he could expand and delve deeper than he could in a gospel principles class. Yet sorry to say, I would suppose that some anti-Mormons will seek to proclaim and ridicule anything in these lectures they can find that would seem unusual to a non-or weak LDS audience today. They gleefully ridiculed the last “installment” of leaked items so I assume they will this one as well. Such reaction shows their true colors of deep religious bigotry and bitterness. Anything to weaken the faith of others is fair game in their minds. One the other hand, those honest in heart that love choice doctrinal feasting will be highly edified by enjoying this meal—fruit of the tree of life served by filthy hands, so to speak. Around 1910-11 a disgruntled Church employee working as a gardener on Temple Square in Salt Lake City, managed to give a dishonest man access to the interior of the Salt Lake Temple while it was being cleaned during the summer. This man took poor quality photographs of many rooms in the temple. He then had an agent market them in the East, to movie houses and other concerns, and used these circumstances to attempt to blackmail the Church for a hundred thousand dollars—pay up or the pictures of the inside of your famous temple will be exposed to the world. President Joseph F. Smith’s response was basically this: “I will not deal with thieves or those who deal in stolen goods!” Instead the First Presidency had James E. Talmage work with a photographer, Ralph Savage, to take photographs and write text, for a book called The House of the Lord, that completely defeated the blackmail attempt and made fools of the thieves. I imagine that today’s Church leaders might think similarly of Laurel and Hardy’s website operations. Great information Dennis! Thanks for keeping us informed!